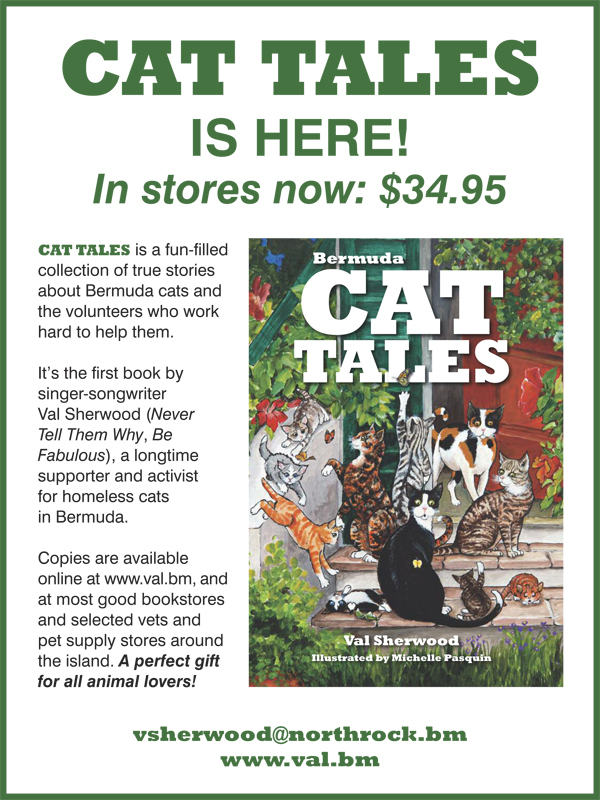 A book titled Bermuda Cat Tales, written by Val Sherwood and featuring illustrations by local artist Michelle G. Pasquin features a number of true stories, with part proceeds going to support the charity Cats Assistance & Trapping Services [CATS]. A spokesperson said, “These are all true stories, and one of Val’s cats, Tucker Man, has released his own song to promote the book. Produced and arranged by John Woolridge of Just Platinum Studios.